Coventry’s Institute for Advanced Manufacturing and Engineering (AME) is to get a £5m funding boost that will allow it to refurbish buildings and invest in new equipment. A collaboration between Coventry University and Unipart Manufacturing Group, AME was set up four years ago to provide teaching and research space for the university’s students. 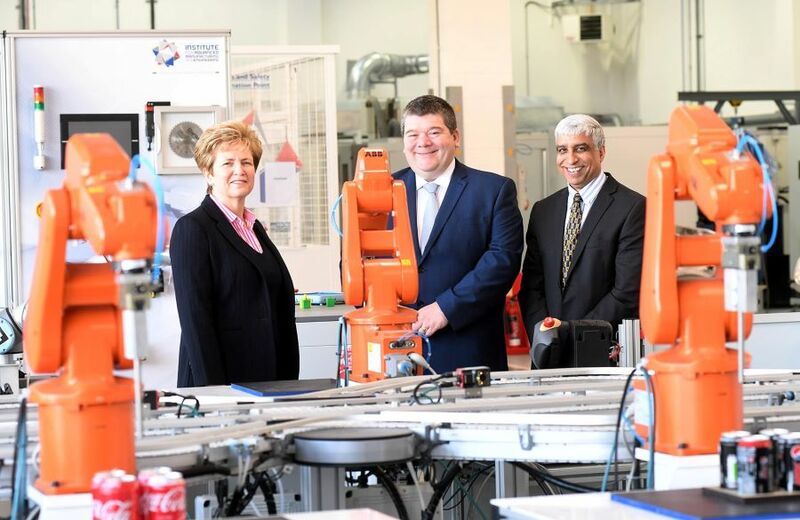 The £5m investment- provided by the university and the Coventry and Warwickshire Local Enterprise Partnership (CWLEP) – will underpin investment in robotics, automation, digital technologies, laser processing and surface engineering, as well as upgrades of existing buildings on site. AME aims to bridge the gap between the classroom and the factory floor, providing graduates with a taste of the real-life manufacturing environments that await them once they leave university. Around 120 students are currently studying at the site, and the AME claims that 100 per cent of students that have passed through its doors have gone on to find employment. “The vision for AME was to create a unique live manufacturing and engineering environment that inspires the next generation of engineers and develops powertrain and energy transfer solutions of tomorrow for partners involved in automotive, aerospace and renewables,” said AME director Professor Carl Perrin, who is also CEO of the Institute for Future Transport & Cities (FTC). “Instead of just coming along to the Coventry University campus and working in classrooms and workshops, we wanted students to work on a live shop floor and experience real-time projects as part of a team, under the usual time pressures and deadlines that go with that. Carol Burke, managing director at Unipart Manufacturing Group, added: “It is essential that we work collaboratively to support the development of the UK supply chain so that we can deliver the capacity and skills required to lead the world in low carbon technology.